Colgate requires a nonrefundable fee of $60 from all candidates for admission. For information regarding fee waivers, see Application Fee . A matriculated student is defined as a student who is working toward a Colgate degree. Matriculated students are assessed tuition and fees each semester at one-half of the annual rate. There is no additional tuition charged for course overloads (see Normal Course Loads ), nor is there a reduction for an underload. At least $2,360 should be allowed for books, supplies, normal travel, clothing, and incidentals. In addition, a one-time transcript fee of $50 is assessed for students attending Colgate for the first time. they have completed all degree requirements (see Academic Regulations ) but wish to enroll for an additional semester to complete additional coursework. A student must seek approval for per course billing through the Office of the Registrar prior to registration for their final semester. The Office of the Registrar will notify pertinent campus offices of approved per course billing status. Visiting students are students who are not working toward a Colgate degree (non-matriculated). They are billed each semester for one-half annual tuition or one-eighth annual tuition per course, whichever is less. Health and Accident Insurance Colgate requires that students have health and accident insurance coverage. Students who enroll at Colgate will be asked each year in June to record their health insurance status. All enrolled students are billed the annual premium for the Colgate Student Group Health Insurance on the fall semester invoice. If a student has private coverage and wishes to decline the university coverage, proof of alternate coverage must be provided. The premium is cancelled only upon timely submission of proof of alternate coverage. If proof of alternative coverage is not submitted on a timely basis the Colgate Student Group Health insurance cannot be cancelled. Students who do not have private coverage must enroll in the university insurance. Students enrolling in the student health plan must activate their coverage each year by recording their enrollment on the insurance web site. Enrollment is also activated by default after the waiver deadline for students that have not filed a waiver or actively enrolled. Tuition and Fee Insurance A commercial insurance plan is available to safeguard tuition, student activity fee, and on-campus traditional residence hall room charges at 80 percent. Information regarding this plan is provided by the Office of Student Accounts. Off-Campus Study - International Medical Insurance Coverage Students participating on a Colgate, faculty-led Study Group or an Extended Study Group will be enrolled in an international travel health policy for their time outside the United States. This coverage is expressly for routine and emergency healthcare outside the United States and includes other emergency-related benefits as well. The cost of this insurance is billed to students and that cost can be reviewed on the Colgate cost estimate sheets available on the Off-Campus Study web site (colgate.edu/OCS). Students will be instructed on the use of the insurance abroad prior to departure. Students studying internationally on a non-Colgate, approved program should receive insurance coverage through that approved program. In the event that the approved program does not offer insurance, or it does not meet Colgate University standards, students may be enrolled in the Colgate international health insurance and billed for that amount. Colgate recommends that you continue your U.S.-based health insurance coverage (such as the Colgate Student Health Insurance Plan) while abroad so that when you return from your trip, whether as scheduled or early, you can access U.S.-based treatment without issue or interruption. If you waive your Colgate Student Health Insurance Plan, which we do not recommend, it is your responsibility to petition for re-enrollment in the plan by posted deadlines to ensure you do not have a gap in coverage. The university adopted a home school tuition policy effective for the Class of 2016 and beyond. 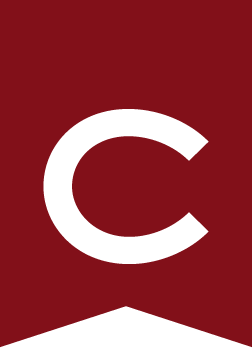 Beginning with the 2014–2015 academic year students who study on a Colgate-directed study group or on an approved program will pay Colgate tuition when studying off campus. Student budget estimates for individual off-campus study programs are available from the Office of Off-Campus Study/International Programs. Further information regarding off-campus study programs and policies may be found at colgate.edu/off-campusstudy. Information regarding tuition and fees for the graduate program can be found in Graduate Program . Semester bills are issued to the student on July 1 and December 1 and presented electronically. This bill for tuition, fees, fines, and applicable charges for room and meals (including fraternity/sorority charges) must be paid by the payment date each semester. A student will not be permitted to continue in classes until the semester bill has been satisfied. For more information about billing/payment, please contact the Office of Student Accounts 315-228-7812, or see colgate.edu/studentaccounts. The university offers two options for payment of tuition, fees, room, and meals: regular semester payments or monthly installments. Payments may be made by cash, check, or bank wire transfer. Payments can also be made online by e-check (no fee to payer). For information on loan programs, please contact the Office of Financial Aid, 315-228-7431, or see colgate.edu/financialaid. Semester Payments Payment for tuition and fees is due in advance of the beginning of each semester (see Billing Schedule above). Balances not paid by the deadline may be assessed a late fee of a minimum of $100 or a maximum of 1 percent of the outstanding balance per month. Monthly Payment Plan Through this option, an internal payment plan is administered by Colgate through the billing site hosted by Touchnet. When bills are posted each semester, a payment plan can be established through the bill site to divide semester fees over five months for a small set-up fee. Additionally, an external payment plan is available through Tuition Management Systems (TMS). Two semesters of tuition and fees may be paid in 10 monthly installments (June through March) after the payment of a small processing fee. Monthly payments not received by the first of the month may be subject to late charges and account termination. For more information, please contact the Office of Student Accounts, 315-228-7812, or see colgate.edu/studentaccounts. Multiyear Prepayment The Tuition Prepayment Plan protects students from probable future tuition increases by offering the opportunity to prepay tuition for two, three, or four years at the current rate of annual tuition set for the first year of participation in the plan. For more information, please contact the Office of Student Accounts, 315-228-7812, or see colgate.edu/studentaccounts. Financial Aid Credits Colgate University must receive notification of expected grants and loans that students or parents wish to use as a payment resource. Anticipated earnings from campus employment may not be claimed as credit on the bill. Students or parents who anticipate difficulty in making payment should consult with the Office of Financial Aid well in advance of the scheduled date of payment. For more information, please contact the Office of Financial Aid, 315-228-7431 or finaid@colgate.edu. Nonpayment Penalties In any semester, students who fail to make satisfactory financial arrangements and enter courses without paying their semester bill will be required to leave the university and forfeit all deposits and any academic credit for that semester. The university reserves the right to deny a student with an unpaid balance the opportunity to register for subsequent enrollment and to withhold the academic records from any student who has not satisfied, or made provisions to satisfy, accounts due to the university. Unpaid balances will, in due course, be turned over to an external collection agency. Collections costs may be based on a percentage at a maximum of 33 percent of the debt. All costs and expenses, including attorney’s fees Colgate University incurs in such collection efforts, are added to the debt, and Colgate must be reimbursed for these costs by the debtor. Students must notify and receive permission from an administrative dean to withdraw officially or to take a leave of absence from Colgate. The official date of withdrawal is determined by the student’s administrative dean. A student who officially withdraws or is granted a leave of absence from Colgate before 60 percent of the enrollment period has expired will receive adjusted charges for tuition, fees, room, and meals based on the percentage of time enrolled. Federal aid is refunded according to the Federal Title IV refund formula. State grants are refunded based on individual state regulations. After 60 percent of the enrollment period has passed, no adjustments will be made. This policy applies only to tuition, fees, room, and meal charges set by Colgate University. External scholarships will be adjusted based on the host program’s regulations. A sample of this refund policy is available by contacting the Office of Financial Aid, 315-228-7431 or finaid@colgate.edu. Written notification of withdrawal must be dated and delivered to the director of off-campus study. E-mail notification from a Colgate e-mail address is acceptable. The postmark or date of e-mail will serve as the basis for any refund. A student who withdraws from a Colgate study group, extended study or approved program after confirming their participation with the Office of Off-Campus Study/International Programs will be charged a $1000 withdrawal fee to defray the administrative costs incurred by the university. Refunds of Colgate tuition charged for off-campus study are governed by the university’s refund policy. Students will also be charged for any non-recoverable expenses including, but not limited to, non-refundable deposits, approved program charges, housing, transportation, visas, and/or shared group expenses. The extent of non-recoverable expenses vary by program and the date of withdrawal. Normally students attend Colgate for four consecutive years, fall and spring semesters. If it is necessary to interrupt this pattern, a student may request an academic or personal leave of absence. Students must request an academic leave of absence from their administrative dean. Students approved for academic leaves will be charged a $500 administrative fee. This fee defrays costs incurred by Colgate for maintaining records and providing advising and other services to students while studying away from the university. Students approved for personal leaves will be required to pay a $300 nonrefundable leave deposit. Provided that a student either returns for the scheduled semester or arranges an extension of the leave through his or her administrative dean, the deposit will be applied to the student’s account in the semester of return to Colgate. For a student who plans to be away on academic or personal leave in the fall semester, the fee or deposit will be due the previous August 1. For a student who plans to be away in the spring semester, the deadline is the prior January 1. Approved medical leaves do not require a deposit or an administrative fee. For additional information on academic leaves, see Leaves of Absence . For additional information regarding personal and medical leaves, see the Colgate Student Handbook.